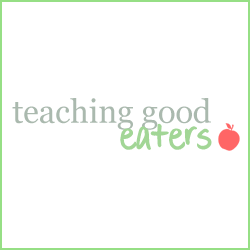 A few months ago, I discovered Rachel's blog, Efficient Mama. 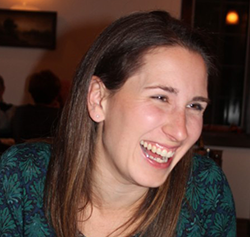 Rachel is a fairly new mom, but seemingly has a peace about motherhood that I could have only dreamed of as I stumbled through parenthood with my first child. I love this post about leaving her son with a babysitter for the first time for several reasons. First of all, I love the pictures of her hubby and her from their night out… I love seeing pictures of bloggers, it helps me know who is "talking." These pictures give me a sense of her personality… she is just too cute!! Secondly, this post highlights what I see as a beautiful, "humble confidence," in her mothering. While she made a choice that many people disagreed with, she did what she felt was best for her and her son, and she was ok with that. I often wonder what it is that connects me to certain blog. I think, more than anything, it's when they say something that continues to resonate with me and haunt my thoughts long after I've read it. Rachel's blog has been that way for me. One thing, in particular, that she said, was in her "Advent Unplugged," post. She was talking about needing to cut back on using internet and watching TV and said, "I find myself hungry for the words of other adults during the day." As a parent, I have had this struggle, but have never been able to articulate it. 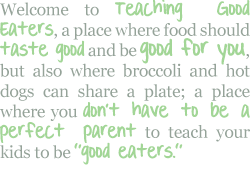 When I read, "Hungry for the words of adults," I immediately felt a sense of recognition, "Yes, that's it. That's what it is." Knowing why I have become so dependent on the internet is helping me to, first of all, give myself a little grace, and secondly find more effective ways to combat it. 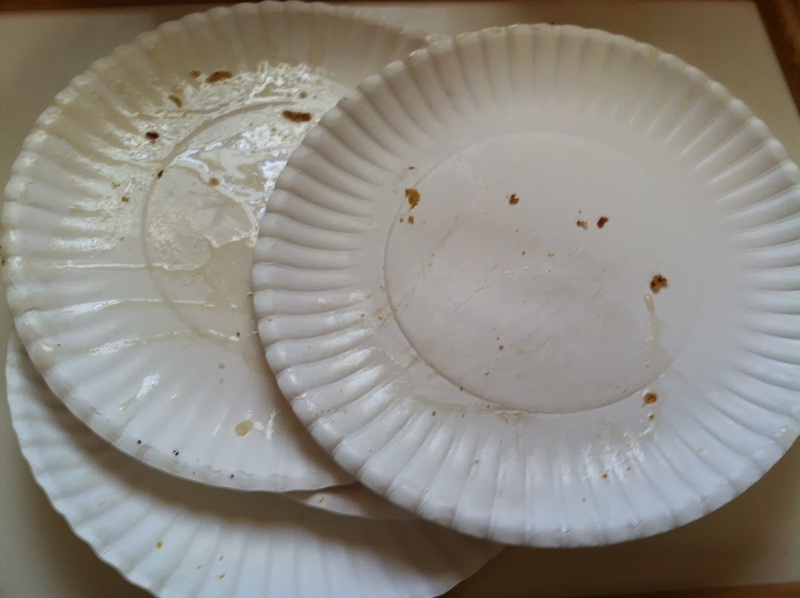 And yes, these are my beautiful used paper plates because as I went to take a picture, I realized we are "all out!!" This time of year can definitely have a tendency to get overwhelming. "Guilt free," use of paper plates for breakfast and lunch, right now, are helping me to survive. A few weeks ago, while reading through some five favorites posts, someone (and I sincerely apologize because I forget who!!) shared this video and I was hooked! Not only have I watched it over and over, but I have watched many of their Christmas videos. They never fail to ignite the Christmas spirit. My second favorite video is this one… Every time (except if I try to catch him on camera) that I start this one, my toddler pulls a chair over the counter so that he can stand in front of my computer and shake his little bum to the beat! I am still new to Instagram and trying to learn to love it. 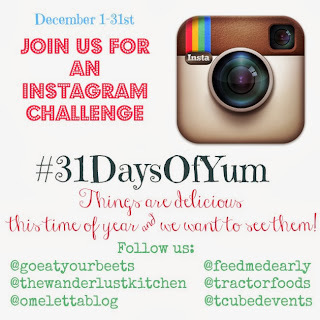 Until I discovered #31daysofyum, I didn't see any use in at all. However, I've been really enjoying seeing the food pictures that other "Instagrammers," have shared and have even found inspiration. Thanks to this "gram," from "goeatyourbeets," I realized that every dinner doesn't have to be a "recipe," and doesn't need need involved 10 different pots, pans, trays, and bowls. Chicken thighs, veggies (I had sweet potatoes and carrots, so that's what I used) spices, broth, bacon--Bake. 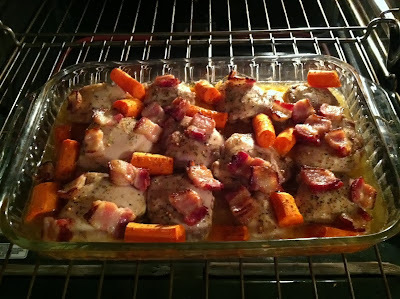 This one dish dinner was really easy, practically mess-free (one dish!! ), and has become a new family favorite. I'm already making it for the second time in two weeks! Yes, this is a commercial (because I am an Amazon affiliate and do get a commission fee if you buy something after clicking an Amazon link at my site) but, honestly, I would be remiss, if I didn't mention that shopping online, specially, at Amazon has absolutely been a "Saving Grace," to me this year. Every time someone asks me if I have finished my shopping and I say, yes, I realize what a blessing it has been. Thanks to shopping on Amazon, my shopping is done. I didn't spend time chasing deals. I didn't see all of the things in the stores that may have made me question my decisions, or think that I needed to buy something that I hadn't thought of before. I didn't have to return things that I bought and didn't need. I didn't overbuy. I thought about what I wanted to get for someone, searched for it on Amazon, checked the reviews to make sure it was all it claimed to be, and bought it. Done. And, thanks to Amazon Prime, all of my shipping was free. I didn't worry about whether or not I spent enough to meet the threshold, I didn't buy something extra to "earn," free shipping. I bought what I came to buy, that's it. Shopping this year, has been less stressful than it ever has been before. As I wrote this, I thought about the fact that I still have one $5 Amazon card that I earned from Swagbucks sitting in my account, and I won't need to use it for Christmas presents… I am done. I don't need to. That gives me an amazing amount of peace, and I would like to share some of this, if I could. So, as I wrote this post today, I arrived at the idea of having a "flash" 24 hour giveaway to help someone else finish up their their Christmas shopping. 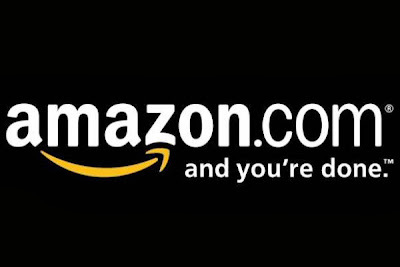 The Amazon card can only be used online, but if you have Prime, 2-day shipping should still get the gift to you in time for Christmas. The $25 Kohl's coupon can be used in store or online. I still need to find my father something for Christmas :( He's a tough one! I still need to buy a gift for my best friend! Between Kohl's and Amazon, you can buy just about anything :) Good luck! I still need a gift for my mom, and one more thing for my oldest son….thinking about a Lego book…. Anything Lego is always a good call for boys! My boys also love the "Lego Man," books with stickers. Noah and I LOVED the music (he danced till it was over) Thanks for sharing! I still need to find something for my sister-in-law. I'm thinking about the Feast! 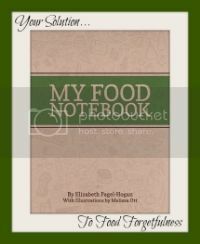 cookbook that Haley over at Carrots wrote. And I need to find something for one of my sisters still - she's a new mommy and I'm sure I could find something at Kohls. I meant every word :) So glad to know I'm not the only one who has a paper plate "secret." I read an amazing review of Haley's book the other day on Kitchen Stewardship a… may have to check it out! I finished shopping last night. I just need a few items from the grocery store. I love online shopping. I still have one gift left to get. It took me a while to become a "convert," to online shopping… at first, I did it out of necessity (as in, I have 4 kids, going to "the stores," doesn't really work any more… but now, I've found many reasons to love it! I still need to pick up something for my father-in-law. Fathers and Fathers-in-Law are always tough! I still need stocking stuffers! I really need to buy a gift card and make a fleece tie blanket ...then done! I still need stocking stuffers and batteries to have on hand for Christmas morning! I still need something for my mom. Mailman, paper carrier, and out pets! I really love being able to use disposable dishes for parties and such - we used to try to use our real dishes but it got to the point where we spent the entire party washing dishes, so I stopped being worth it! I totally forgot about stocking stuffers... Usually I just hit the dollar store on Christmas eve but Kohl's might have something good! I still need my little bro and my friends little ones.. almost there!! I'm going to get some paper plates! I love amazon and kohl's. It's nice to have one less thing to worry about. Years ago, I saw an episode of Wife Swap where one of the women used paper plates (though she used them for everything, all the time... I don't think she had any real dishes!) I remember thinking she was crazy! I figure that we don't really go out to eat, and I cook a lot of food from scratch... both of those would involve much more waste than me using a few paper plates every day! I still need a gift for my 11 year old niece who just put 2 things on her list - an Iphone and a $200 straightening iron! I'm all finished shopping! Yay!